New York Times and USA Today bestselling author Francis Ray was a native Texan. A graduate of Texas Woman’s University. In 1999 and 2000 she was nominated for Texas Woman’s University Distinguished Alumni Award. She was honored to give the 2010 winter commencement address. 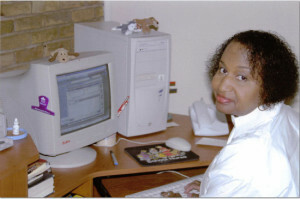 Ms. Ray’s titles consistently made bestseller’s lists such as Blackboard and Essence Magazine. INCOGNITO, her sixth title, was the first made-for-TV movie for BET. She has written forty-three titles to date. Awards include Romantic Times Career Achievement, EMMA, The Golden Pen, The Atlantic Choice, and Borders 2008 Romance Award for Bestselling Multicultural Romance. IF YOU WERE MY MAN was selected as Written magazine Book of the Year.THE TURNING POINT, her first mainstream, was a finalist for the prestigious HOLT Medallion Award. At the release event for THE TURNING POINT in May 2001, she established The Turning Point Legal Fund to assist women of domestic violence to help restructure their lives. Her second mainstream, I KNOW WHO HOLDS TOMORROW, May 2002, made the bestseller’s list of The Dallas Morning News, Blackboard, Black Expressions Book Club, and Essence Magazine. The book was one of five titles selected as Book Club Favorites for Black Issues Book Review Best of 2002.SOMEBODY’S KNOCKING AT MY DOOR, her third mainstream, was released May 2003 and made bestseller’s lists across the country. ROCKIN’ AROUND THAT CHRISTMAS TREE, a holiday collaboration with Donna Hill, came out in November 2003. Other books include SOMEONE TO LOVE ME December 2003, TROUBLE DON’T LAST ALWAYS January 2004, FIRST TOUCH February 2004, WHOLE LOTTA LOVE February 2004, LOVE AT LEO’S July 2004, and THE FALCON SAGA August 2004. Her fourth mainstream, LIKE THE FIRST TIME, was released in May 2004 and also made the Essence bestseller’s list. January 2005 continued the Living Large stories, a concept of Ms. Ray’s of fashionable and fabulous full-figured women with BIG GIRLS DON’T CRY. February 2005 was a major personal triumph with the release of her first Christian fiction, Then Sings My Soul, in a trade anthology from Harlequin/Steeple Hill titled HOW SWEET THE SOUND. March 2005 saw the release of the long-awaited continuation of The Graysons of New Mexico series with YOU AND NO OTHER. Her fifth mainstream and thirtieth title, ANY RICH MAN WILL DO, was released October 2005 and made the Essence list two months in a row. In 2005 two of Ms. Ray’s titles, SOMEONE TO LOVE ME and I KNOW WHO HOLDS TOMORROW were released in hard cover with large print by Thorndike. In 2006 TROUBLE DON’T LAST ALWAYS, HOW SWEET THE SOUND, and ANY RICH MAN WILL DO were also selected by Thorndike as well.IN ANOTHER MAN’S BED, her sixth mainstream and Book #3 of the Invincible Women Series was released February 2007. NOT EVEN IF YOU BEGGED — Book #4 in the series came out January 2008 and made #3 on Essence Magazine‘s bestseller’s list.IRRESISTIBLE YOU — Book #4 of the Graysons of New Mexico — hit stores March 2007. Book #5 — ONLY YOU — was released October 2007. THE WAY YOU LOVE ME is Book # 1 of the new and exciting Grayson Friends Series and was released August 2008. Book #2 of the series, NOBODY BUT YOU, hit stores March 2009 and promptly made the New York Times and USA Today bestseller’s list. ONE NIGHT WITH YOU, Book #3 was scheduled for November 03, 2009. Leading off 2010 was IF YOU WERE MY MAN, book # 6 in the Invincible Women series. March 30th saw the reissue readers have clamored for, FOREVER YOURS, book # 1 of the Taggart series. Ms. Ray released five titles in 2013. First up was my 50th book ALL I EVER WANTED, February 26, 2013, then $1.99 eBook ALL OF MY LOVE, May 14, 2013. Next was AFTER THE DAWN, June 18, 2013. ALL THAT I NEED, hit stores July 2, 2013. The last release featured one of the most requested incredible man in the Graysons series, Rio Sanchez in ALL THAT I DESIRE, October 29, 2013.